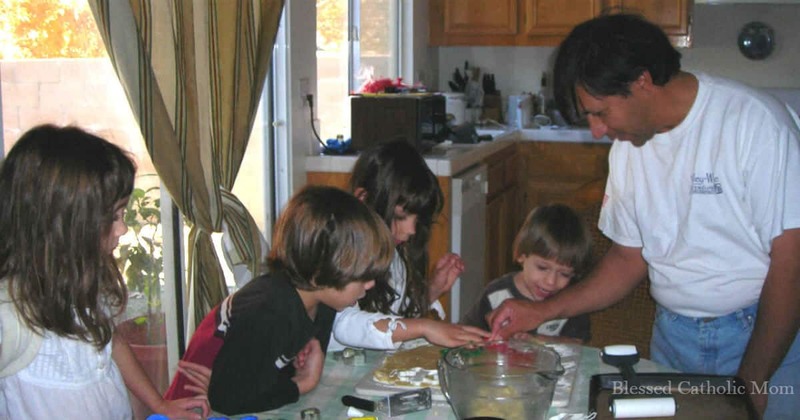 Simple Tips for Cooking with Children - Make it fun and meaningful. “Mommy, can I help you?” Sometimes these are not the words I want to hear just as I am working to finish dinner so we can eat sooner than later. “It is easier if I just do this myself!” I often think. But, how will our kids learn if we do not teach them? Plus, with his help to prepare the meal, both my child and I experience the joy of working together for the benefit of our family. When I am tempted to say, “No, thank you, I’ll finish it myself,” it is good for me to think of how happy my child will be when he proudly tells everyone that he helped with dinner. That alone is worth the extra time it may take to get dinner ready. As they get older, they are more independent and their help makes meal preparation go faster. 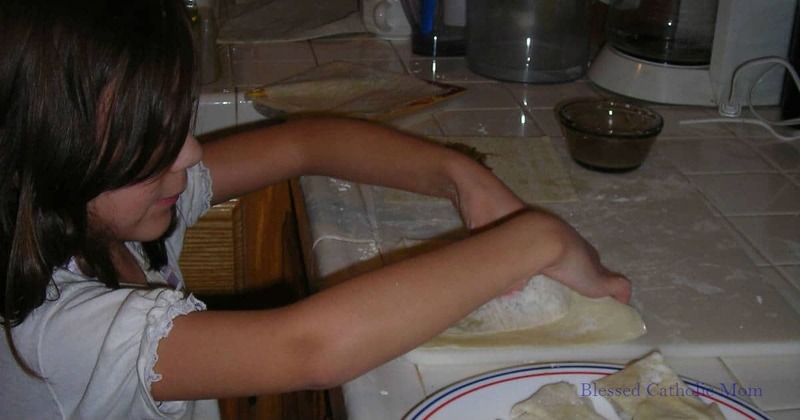 Follow these simple tips to make cooking with children even more fun and meaningful. One key component to making a meal with my child (especially when he is young) is to pick an easy meal. I decide ahead of time how to break up the meal’s preparation into smaller steps so our kids can help. When we make tacos, I look at all the parts of the meal: ground meat, tomatoes, onions, cheese, lettuce, salsa, and sour cream. It is simple to cook up the meat; my son can help mix it as it cooks. Another child can grate the cheese into a bowl. If one of our children is not yet using knives, I can chop the tomatoes and she can put them into a bowl and place it on the table. A child can also wash lettuce or get the sour cream out of the refrigerator. When I have an idea ahead of time of how our child can help, when I hear the question, “Mommy, can I help?” I will already know what he can do. 2. Work side by side. It is a lot more fun to work together than to work apart. One reason why our kids want to help is that they want to spend time with us. My daughter can pull up a chair to stand on at the counter beside me and we can work side by side or I can move what I am working on to the kitchen table so she can stand beside me. Even if all she does is move what I cut up into a bowl, my daughter is still helping me; we are working side by side and having fun while we spend time together. Praising the efforts of our kids when they help is a key thing to do. Our kids want to please us. They want us to be proud of them and they want to feel useful and valuable. Sincerely praising their efforts and thanking them for their help is so important to them. Don’t go overboard here-they will know when we are sincere and when we are not. Their efforts do not have to be perfect. We know they are trying. Working with us is how they will learn. They could be off playing instead, but they chose to help us. If we ever want them to willingly help again in the future, we need to make sure we show our appreciation for their help now. Sometimes the question, “Can I help?” is exactly that–a request to help. Sometimes it can have an underlying motivation. Time working together with our children is a great way to build a stronger relationship with them. Maybe our son has something on his mind and he is unsure of how to share it with me. Working side by side as we talk is easier than the two of us sitting down where he needs to look me in the eye when we talk. Perhaps our daughter is feeling lonely and wants some extra time with me to help her feel better. Laughing and having fun working together helps to make her feel better. 5. Invite them to help. Invite your child to help prepare the next meal. We don’t always need to wait for them to offer to help. We can initiate cooking with them. The best time to do this is if I have recently turned away our child when he asked to help; I will think of how I can include him in preparing our next meal and ask him if he would like to help me. Sometimes they will say, “no” when I as them if they want to help, but at least I have initiated working together instead of them being the one who always asks. 6. Work together as a family. Working together as a family is what we do when we make pizza. We have a list all of the things that need to be done and everyone helps. When our kids were smaller, we would all work together on the different tasks. Not that they are older, we divide up tasks and usually work independently in different parts of our kitchen table. My husband or I make the dough or work with one of our kids to make it. One of our kids grates the cheese, another prepares the sauce, another rolls out the dough, and another prepares the toppings. 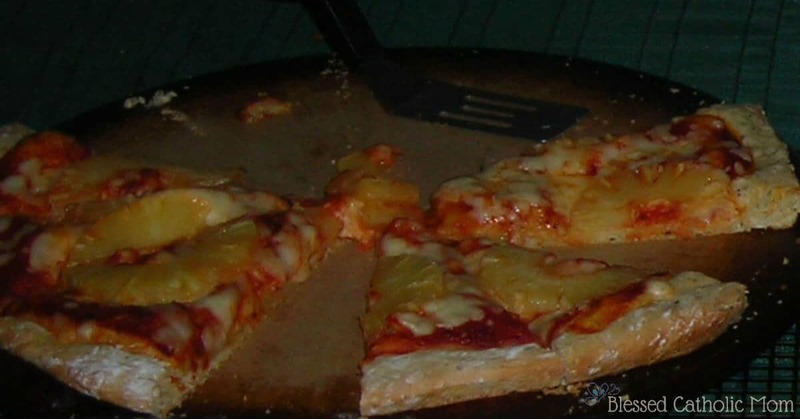 We can work together to assemble the pizzas and cook them. We enjoy working together. Sometimes we’ll put music on, too, to add to the positive atmosphere we want to create and foster. This is one of our favorite family meals. Not only do we enjoy eating it, but we enjoy the meal more since we all worked together to prepare it. 7. Set the right tone with a good attitude. As parents, we set the tone with our own attitudes. I need to remember that our kids are learning. Learning takes practice and trial and error. Being patient with them and working side by side to teach them is best for both of us. I want for our time working together to be fun and build our relationship, not cause conflict. If my child is not doing something right or is having difficulties, I can calmly show him how to do it. Getting upset will not be good for either of us. After all, he is trying to help, not trying to cause a problem. When I am happy to work with one of our sons or daughters, they know it. They fell appreciated and helpful. They know they are an important part of our family, that they are helpful, and that they are loved. 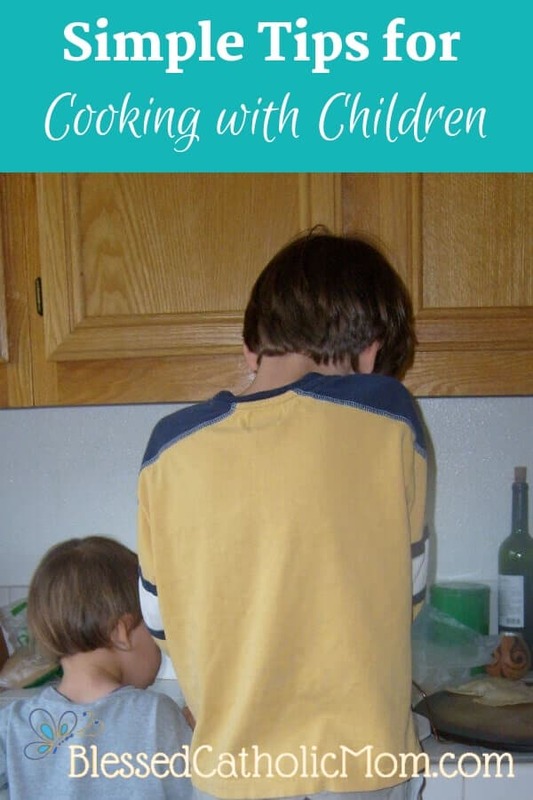 Cooking with children provides a fun opportunity to work together. Yes, it can take longer to prepare a meal together with young helpers, but the little extra time is worth the effort when we experience the wonderful results. If you are looking for meal planning tips, “Simple Steps for Meal Planning” is a guide created just for you.